What a show! What a night! How the world's delight! 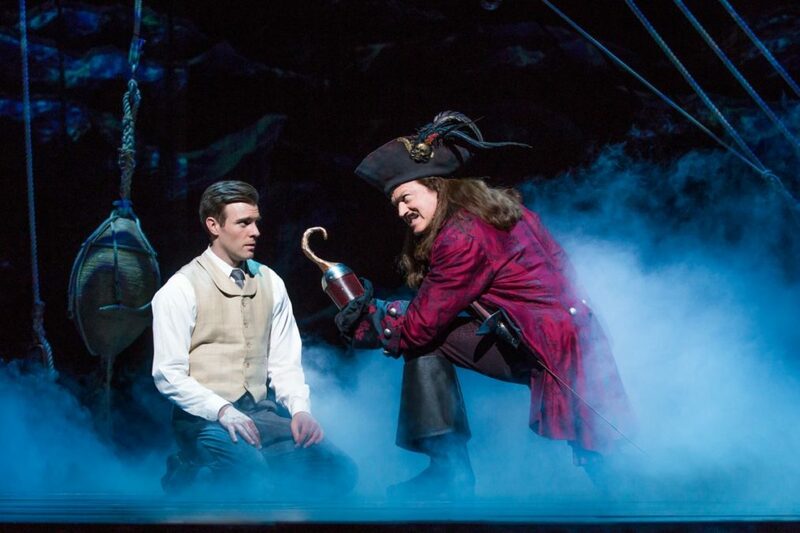 Tickets are now on sale for the national tour of Finding Neverland in Boston. The Broadway.com Audience Choice Award-winning musical will open on August 8 at the Boston Opera House and close on August 20. Finding Neverland follows playwright J.M. Barrie as he summons the courage to become the writer—and the man—he yearns to be. Barrie finds the inspiration he’s been missing when he meets the beautiful widow Sylvia and her four young sons: Jack, George, Michael and Peter. Delighted by the boys’ hilarious escapades, Barrie conjures the magical world of Neverland and writes a play unlike any the high-society London theatergoers have ever seen. It’s a tremendous risk, but as Barrie himself has discovered—when you believe, you can fly. The cast of Finding Neverland includes Billy Harrigan Tighe as J.M. Barrie, Christine Dwyer as Sylvia Llewelyn Davies, John Davidson as Charles Froman/Captain Hook, Karen Murphy as Mrs. Du Maurier and Turner Birthisel, Connor Jameson Casey, Bergman Freedman, Tyler Patrick Hennessy and Colin Wheeler as the Llewelyn Davies boys. Finding Neverland features direction by Tony winner Diane Paulus, music and lyrics by Gary Barlow and Grammy winner Eliot Kennedy, a book by Olivier Award nominee James Graham and choreography by Emmy winner Mia Michaels.